We steam clean (hot water extraction) using the latest technology to not only clean your carpets, but also makes your home or office a healthier place. Our innovative solution and recovery process atomizes the cleaning solution injected into carpets to control moisture, neutralizing micro organisms and organic substances that can cause odour. 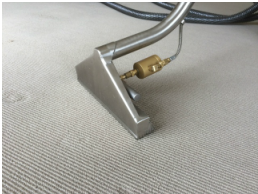 From small apartments to large office complexes, we can take care of your carpet cleaning needs. Office chairs, couches, sofas, dining chairs and car interiors undergo relentless torture with their continued use. As a result they gather dust, dirt, pet hair, body odours that just can't be removed with household cleaners. Why not talk to us about giving your upholstery and car interiors a fresh start? Using out specialty tools we can give your seats a deep clean with high performance recovery for faster dying times. Need to have your tiles and grout cleaned? Do you have a commercial floor that needs a strip and polish? We can help. Whether you need your floors maintained on a weekly basis, or your floors have been neglected and you need help bringing them back up to scratch, we can be of service. We have a range of equipment including buffers, scrubbers, polishers, and steam cleanings wands that we can utilize to give you the results you need. From shop fronts, and houses, though to large office blocks, we have your window cleaning needs covered. 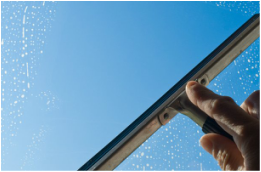 We have been cleaning windows in the area for over 30 years. Rest assured we have the experience, and the people to get the job done. We have experience in cleaning everything from granny flats, through to large schools and hospitals. If you want cob webs removed, screen, & gutters cleaned, we can do that too. Moving out of a rental?, Need you offices cleaned on a weekly or even daily basis? We can take care of it. You may want a spring clean, or the workload might just be getting too much for you. Why not talk to our friendly staff for an obligation free quote. It might be more affordable then you think.